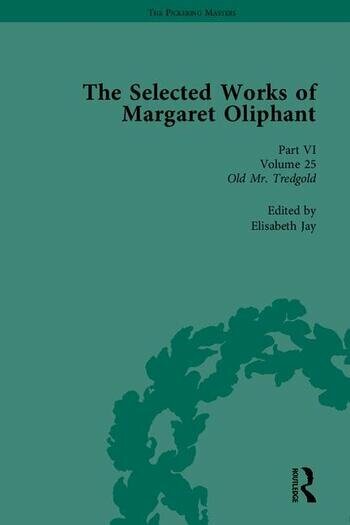 Margaret Oliphant (1828-97) had a prolific literary career that spanned almost fifty years. She wrote some 98 novels, fifty or more short stories, twenty-five works of non-fiction, including biographies and historic guides to European cities, and more than three hundred periodical articles. This collection represents the most ambitious critical edition of her work and includes At his Gates (1872), The Ladies Lindores (1883), and Old Mr Tredgold (1895). The three volume set, edited by experts in the field, is accompanied by original editorial material including a new general introduction and headnotes to each work. Old Mr. Tredgold from the 1896 one volume edition.